Grant Aims Purpose: to improve the appearance of the ground floor frontages of commercial premises both occupied and vacant. Shop front works may require consents from South Ayrshire Council. 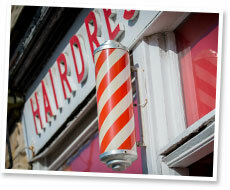 For example advertisement consents for signage, consents for painting shop fronts and listed building consents. Your proposed shop-front improvement or advertisement may need formal consent from the Council, as it’s also the Planning Authority. It is also likely that your shop will have some heritage interest, either because the property is listed, and/or because it’s located within a Conservation Area. This means that signage will need to respect these historic interests and be designed sympathetically. For guidance on the type of signage that is considered appropriate, please visit http://www.south-ayrshire.gov.uk/documents/advertisement%20and%20commercial%20signage.pdf for further information. 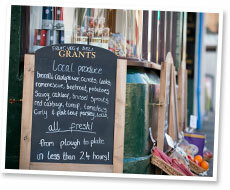 PLEASE NOTE: Before completing a shop front grant application you must contact South Ayrshire Planning for advice on Tel: 01292 616107 informing them that your enquiry is relating to ‘AMBITION for Town Centres’ When contacting planning please have a clear idea of the intended works and details surrounding it e.g. For signage – lettering size, type of sign etc. REFUNDING OF PLANNING CONSENT FEES – Any planning fees relating to consents for works carried out under the grant programme will be re-imbursed in full on completion of the works and the production of receipts. Grants will be paid by BACS directly into your Business Account. Grants can only be paid into Business bank Accounts.Companies failing to meet the above conditions will be liable to repay any funds awarded through this programme to the business in full.